the Celtics can offer him one last chance at a dynasty before his career is over. Yes, really. 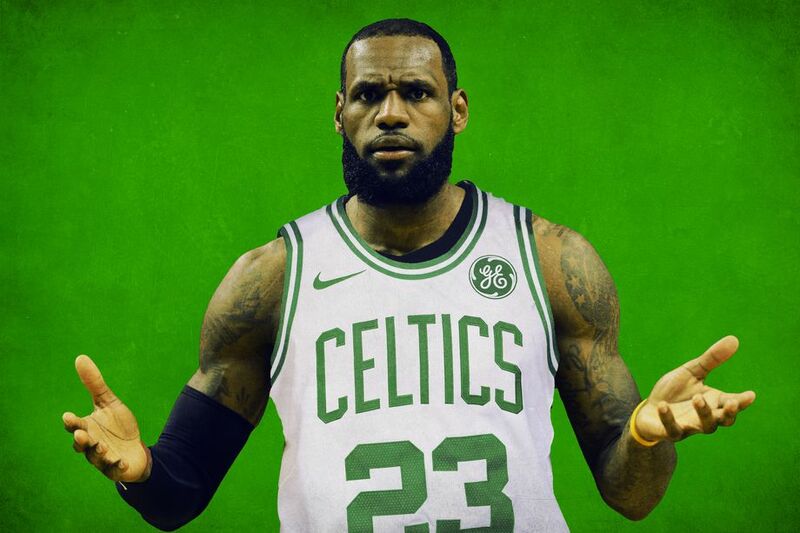 The simplest deal would be trading LeBron for Hayward, Marcus Morris, and a first-round pick. Cleveland, as much as they might hate to trade LeBron within their conference, would have to do it. If Hayward returns at 100 percent from his ankle injury, he would be their new franchise player, and a team built around Hayward and Kevin Love would immediately be relevant in the Eastern Conference. They could round out their starting lineup with some combination of George Hill, J.R. Smith, Tristan Thompson, Larry Nance Jr., Morris, and the no. 8 overall pick. I don't know anything about him. Top of the secondish? Is he just a scorer or decent defender? What is the scouting report? If it weren't for the Kawaii/Kyrie/Hayward injuries, we might have had 5 contenders this year. The old thread is locked. Find a new slant. There will always be players getting hit by a medium size ladder. Even a completely healthy Hayward isn't going to really make Cleveland relevant. If Lebron couldn't win with that supporting cast, how is a combination of Hayward and Smart supposed to? Especially if they have to face the Celtics with Lebron? They barely beat the Celtics with Lebron on their side. Most smart GM's would be looking to tear it down and start all over again if they lost Lebron, because trying to compete is just delaying that process by being mediocre instead of bad. If they start rebuilding now, perhaps they can be good again when Lebron is close to retiring and the Warriors are starting to age/risk losing significant pieces to free agency in 4-5 years. On the flip side, the Cavs haven't exactly been the model franchise for savvy team building over the years even with multiple first picks over all, nor an attractive free agent destination even with Lebron. So maybe just being mediocre is the best they can hope for if Lebron leaves. I find the mentality that if you aren't a contender, your year is a failure bizarre. That makes 90% of the teams any given year failures. If they are all failures, what's the difference between being the Suns and the Jazz? Dwayne Casey just signed a 5 year deal with the Pistons. I think this is a great hire, he will help bring them back to respectability. Despite him not bringing a Championship to TO he brought them from being awful to very good, which is not easy. Maybe nowadays people deem that the only way you're going to be contending one day (which is an understandable goal for an owner) is to tank as hard as you can to stack multiple high picks for low-budget stars and attract expensive good free agents. So might as well start asap instead of having decent non-contending years that only serve to delay your contention. But I think some owners are also fine with just having a good consistent team that won't win anything. They still got a ring out of it (and made the finals 4 times). It's not too bad really. Maybe you meant that they wouldn't have gone anywhere if they hadn't "stumbled upon" the 1b GOAT. I have to agree with Jerubaal. It's not healthy for the NBA if the mentality is that every year there is 1 champion and 29 failures. There are teams like Atlanta (from a few years ago) and Toronto that are good enough to compete in the playoffs but didn't have what it takes to go further. Some of these highly touted high draft picks are going to end up just good enough to take a team to the playoffs. They may be good enough to consistently make the playoffs for the next 5-10 years but not good enough to threaten an actual contender. Should teams take those years of playoff but not championship contention and try to improve little by little or just blow it up again? It would be horrible. Some fans think they like it cause of how the sixers are now, I'm sure it was awful to be a sixers fan during the tank. And lots of times the tanks don't work out and the awfulness continues. What will be funny is if like 15 teams all try to tank no one will consistently get a top pick and they will end up staying at the bottom! The tanking mindset seems to be getting more popular for owners, this year alone it was so ridiculous. Like Lopez playing full first quarters for the Bulls and never seeing the floor again after getting a lead :D.
Casey signed a 5 year deal with the Pistons. Nice to see he landed on his feet. 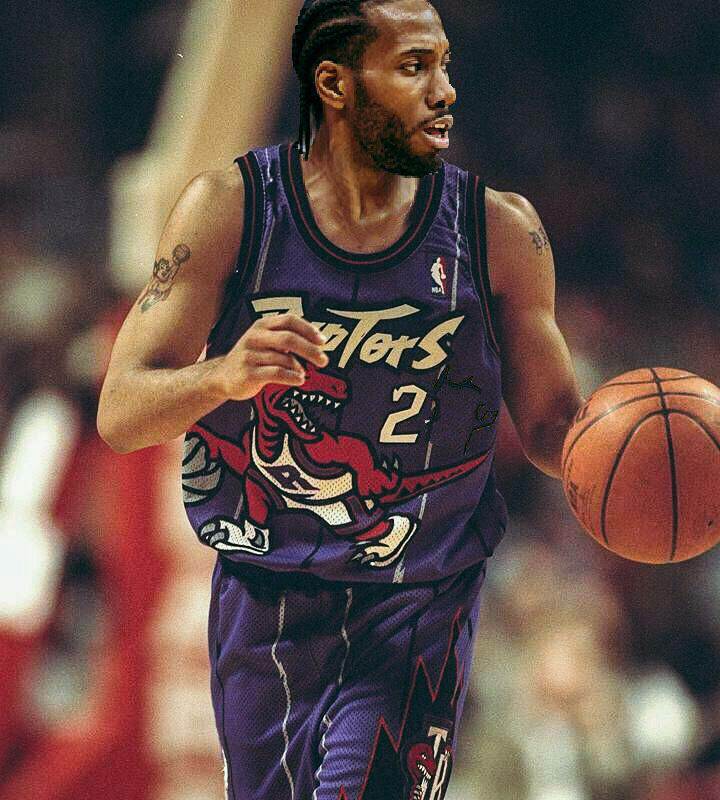 Kinda funny he gets a new 5 year deal before the Raptors find his replacement. Well, it would only work so far because there is too much talent in the league. if you put every below average player on the bottom 15 teams, the top 15 teams would be composed of average to above average players. It would come down to who could coach the worst and come up with "injuries" for their decent players. People would be looking for high usage low efficient scorers with bad defense! I guess it might make the top 15 more even as the bottom 15 look to ship out their talent.